Here I continue the story of my relationship with China. In my last blog post, I spoke about how my experience with race in America led to an unexpected love of a novel chronicling the lives of three generations of women in China (Spring Moon by Bette Bao Lord). My love of the book grew into an infatuation with the country, grounded in culture, language and literature. My infatuation, in turn, transitioned into a new lens for interpreting race. Today, my adult relationship with China has further expanded into a launching pad to take risks, a place to step out of cultural expectations and norms, a space to have a wild adventure, and an opportunity to work on areas of my life and consciousness that I have ignored. For you to more fully experience my ongoing transformation, I include my perspective relevant to the time period. This includes my perspective about race. I will not shy away from sharing my evolving perspective on that American obsession. My candor is intentional and important. And, it is as an important part of this story as any. After I returned home to the United States from China for the second time, I started a traditional life as a wife and working woman. I hired a Mandarin tutor through my company’s Employee Scholar Program. In our sessions, we followed a textbook, which was helpful, but I didn’t have the Chinese language environment to build fluency, so I eventually discontinued lessons. As I settled into my traditional lifestyle which in many ways was a struggle for me, I missed China and all that she represented for me. Since then, I have learned that sometimes your heart has wisdom that your rational brain can’t comprehend. The challenge is learning to trust in that wisdom. Within a few years, my first son was born. When he was four, I enrolled him in Chinese school, a Friday night school targeting families of Chinese children. Out of several hundred families, three (including us) were non-Chinese. The school charged $400 for a full year of language and cultural studies. It was quite a deal. The language program offered two language tracks: one track for students whose parents spoke Mandarin at home, and one track for students whose parents did not speak Mandarin at home. There were many children in the second category. Some children’s parents did not speak Chinese well as they were overseas Chinese (E.g., Vietnamese-Chinese, Indonesian-Chinese), and raised to speak other languages. There were children whose parents spoke a different dialect of Chinese other than Mandarin (E.g., Cantonese.) 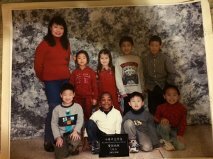 There were biracial children whose one Chinese parent did not speak Chinese at home. Several children had American-born Chinese parents who could not speak Chinese fluently for a host of reasons. I even remember one Caucasian family, who had adopted a little Chinese girl. The mother dropped her daughter off early every week and quickly left. That was unusual as most parents stayed around and waited. I assumed she wanted to give her daughter an immersion experience, but never asked. It was thrilling to watch my son learn and speak Mandarin in class, and watch him play with the other kids during break, having no awareness that almost everyone in his environment was Chinese. It was a healing experience for me, and sometimes I just stared at him rolling around on the floor with his friends. It was a decidedly different and refreshing experience. I had no innate desire to ‘fit in,’ or sensitivity to being excluded. 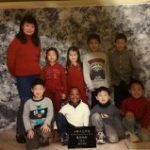 Early on, I learned that Chinese school was an opportunity for the Chinese community to be together, just like African-Americans have our organizations to be together. So, if there was a birthday party outside class, and we weren’t invited, I didn’t mind. I remember there were a couple of mothers who didn’t appreciate my son outperforming their children in class, in Chinese of all subjects. And, I also remember a teacher making a point to lecture the students and parents alike that everyone, EVERYONE gets to be appreciated and celebrated in her class. It was a gentle reminder that race has its hold, but people are individuals, and a range of humanity is present in every race and ethnicity. The program was structured to have two hours of language study and one hour of a cultural extracurricular activity. My son chose Chinese painting. He had a blast. In fact, the children had exciting activities planned throughout the year. Each year at Christmas came Chinese Santa. During Chinese New Year, there was a huge Chinese New Year’s celebration where the children received ‘money’ in a red envelop, watched performances given by classmates (singing, dragon dancing, piano, Chinese yo-yo, etc. ), and chowed down to a feast that would make your heart sing. And, during that first year, at the end-of-year showcase, there was my little man, singing Mandarin songs, and reciting poems in Mandarin with his classmates. The next year, the curriculum got heavy – my son, who was five at the time, had a mid-term entirely in Chinese characters. We had been assigned a new teacher, and had a wide range of ages in that class, with my son being one of the youngest. The mothers of the youngest test takers designated ourselves to ‘assist’ during the mid-term. It was very cute, but intense. So, after three years, given that I wasn’t willing to keep up with the workload along with all of our other activities, we left the school. That was six years ago. This past summer, we went on safari to Kenya and to a beach resort in Tanzania, Africa. I expected the African landscape to be breathtaking and its wildlife stunning. I was not disappointed. What I did not expect was the extent of China’s incredible presence in Africa. In Kenya, every time we stopped at the side of the road to buy tourist items at the local gift shop, there was at least one African present who spoke Mandarin. If I had to guess, I would say about a third of the safari tourists were Chinese, and there seemed to be Chinese products and projects everywhere – buses, lifejackets, infrastructure development projects – all featuring Chinese characters, prominently displayed. I found this surprising and interesting, and additionally noted a tension between the Chinese and African communities. A subtle comment would slip out from an African guide during a tour, or from a Chinese family member during the night’s activities. Nothing shocking, but enough to let on that a tension was present. I was curious about the future of these two communities, clearly moving full steam ahead toward a more entrenched relationship. At the resort in Tanzania, my youngest son’s best mate was a little boy, originally from China. I spotted the family one evening in the recreation area. 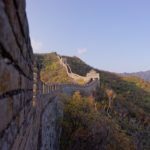 My husband smirked, nudged me and said, “Why don’t you go over there?” “You KNOW you want to speak Chinese.” As a matter of fact, I did want to strike up a conversation, and proceeded to walk over to the parents and brush off my Mandarin. The conversation was not particularly impressive, but I was able to say something, understand something, and that was enough. The couple was lovely. The husband was a senior executive from a petroleum company with headquarters in North Sudan, and facilities in many other countries of Africa. When he told me he lived in North Sudan, I said, “That’s interesting.” He laughed pleasantly, and said, “When Americans think you are crazy, they always say, ‘that is interesting.” He had a point, but didn’t seem offended. When I told this executive about my background in leadership development and training, he seemed intrigued. He asked for my business card and spent a few moments studying it. He asked how many employees worked in my company, and then we started to talk business. He was particularly interested in management training. He patiently talked about his business and work in Africa as he was ruthlessly devoured by a swarm of mosquitos circumventing his damp head of hair. As we spoke, I got the feeling that he saw me as a sort of bridge between the Chinese and African professional communities. And, giving the idea more thought, I realized that I had a connection to both communities without the baggage of either. On one hand, I was American, spoke some Mandarin, and had a clear affinity for the Chinese community and culture. And, although I can trace my American lineage back eight generations, I have clear African roots. We discussed in more detail how we might work together. That is when I started thinking about studying Mandarin seriously for the second time. Perhaps I could conduct training programs, and in so doing encourage a stronger collaboration and understanding between the African and Chinese communities in Africa. It would be, among many other objectives, a way to take a step back, broaden my view, and continue my personal work with race in a new space. I decided in that moment to put a curriculum together and get back to serious study. Today, my Mandarin study provides something I’m not getting elsewhere in my life. It is a place for me to step away from life’s obligations and expectations, and discover something that is right for just me. As for my next steps with China and Mandarin language study, who knows where this journey will take me? I have a rough plan, but it is all unchartered territory. I can’t identify a clear purpose or direction; and still, this journey holds an unexpected calling for me, and channels personal rewards that run deep. It is an exhilarating adventure for this time of my life. It feels central to who I am, and who I am becoming. And, to keep things interesting, I have decided to play all of this out publicly because I believe my adventure can be an inspiration for others. 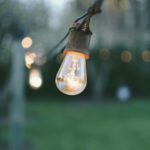 Many of my friends, family and clients feel stuck in their box of obligations, traditions, habits and expectations. And, if nothing else, my story is here to say, maybe there is more. In my next blog I will talk about another Mandarin opportunity that has presented itself, and new insights that have come forward. Wow. Your journey in life is truly inspiring and I certainly am glad that you are sharing it.